Happy Sunday. It's beautiful here today...bright, sunny and a nippy 58 degrees -- and an awesome welcome to fall. 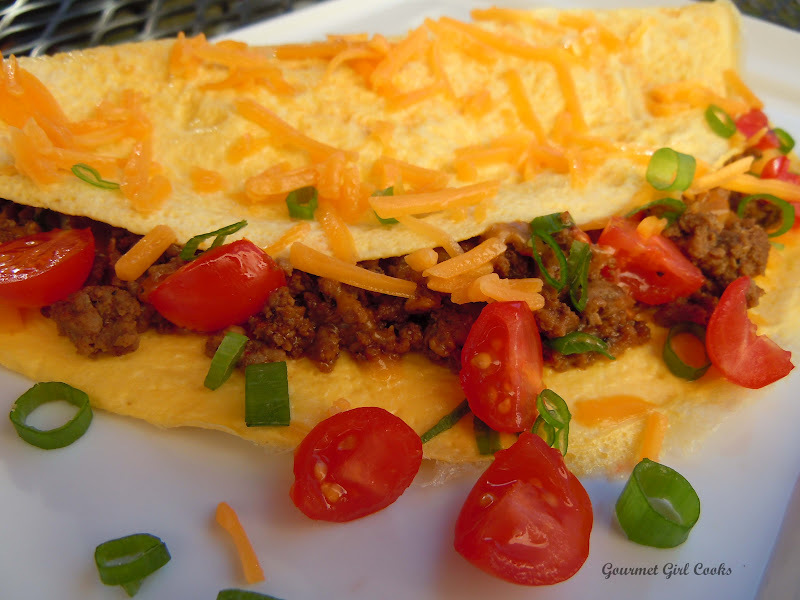 This morning I made Mexican Taco Omelets for breakfast. It was so easy to do since I used the leftover taco meat from Friday night's Taco Lettuce Wraps. I added some diced cherry tomatoes, sliced green onions and shredded sharp cheddar cheese. It was delicious and beautiful and will probably last us until dinner time. Check out a couple pics below. Enjoy! 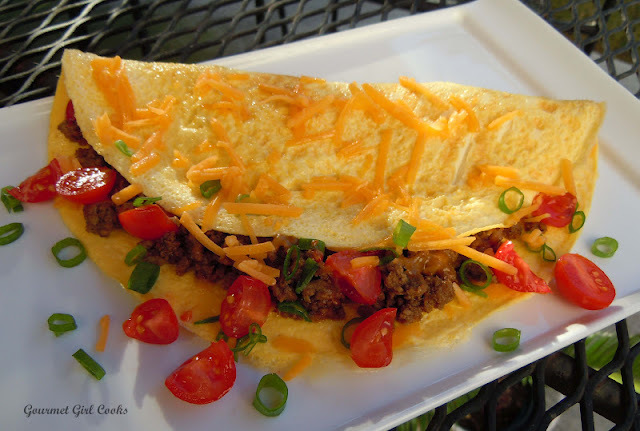 This looks yummy, I know my husband will love breakfast tacos for lunch or dinner. I am really enjoying your blog and your photos are great.